Individuals with ASD need support throughout the life course, not just in childhood. Materials in this section can guide you through that process. 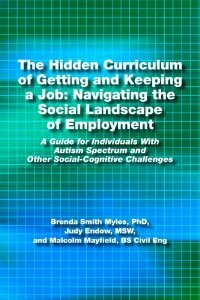 The Hidden Curriculum of Getting and Keeping a Job by Brenda Smith Myles, PhD, Judy Endow MSW, and Malcolm Mayfield. A Guide for individuals with Autism Spectrum and Other Social-Cognitive Challenges. Pp. 99. 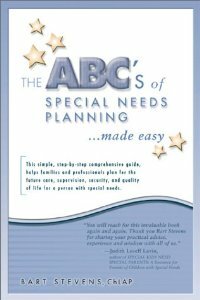 The ABC’s of Special Needs Planning Made Easy by Bart Stevens. This book is a great resource for people who are dependent on state and federal benefits for their basic supports and income. It is one of the simplest tools on special needs planning because it provides a clear, step-by-step guide for helping individuals, families, and professionals to understand the law and then to make informed decisions to plan for the future. Pp. 122. 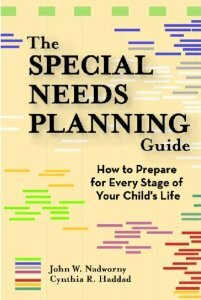 The Special Needs Planning Guide: How to Prepare for Every Stage in Your Child’s Life by John W. Nadworny and Cynthia R. Haddad. Included are all the tools families need to create an effective action plan for their finances: planning checklists and forms, a helpful glossary of financial terms, “planning pointers” that help readers remember key points, and extended case studies dramatizing other families’ evolving challenges and solutions. Pp. 310. 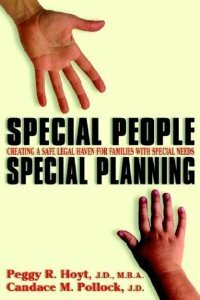 Special People, Special Planning: Creating a Safe Legal Haven for Families With Special Needs by Peggy R. Hoyt and Candace Pollock. This book is designed to address the concerns of families with special needs children. 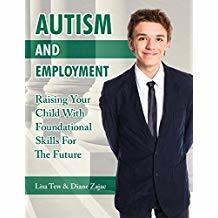 It’s is a must-have guide for families with a special needs child in order to understand the factors that come to bear when planning for their special person. It provides a framework upon which the family can organize the information they receive from advisors, articles or organizations, plus financial planning suggestions and estate planning for the disabled. Pp. 156. 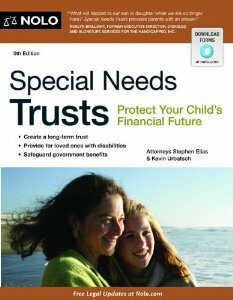 Special Needs Trusts: Protect Your Child’s Financial Future by Stephen Elias. Special Needs Trusts shows you how to leave any amount of money to your disabled loved one, without jeopardizing government benefits. It provides plain-English information and forms that let you create a special needs trust by modifying your will or living trust document. Pp. 272. All About My Brother by Sarah Peralta. This book was written by a young girl who has been involved in helping her autistic brother learn. It is written from Sarah’s perspective, and is a testament to the parental support that has fostered a strong positive relationship between Sarah and her brother. Pp. 127. 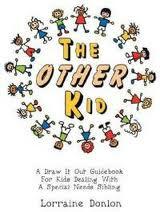 The Other Kid by Lorraine Donlon.